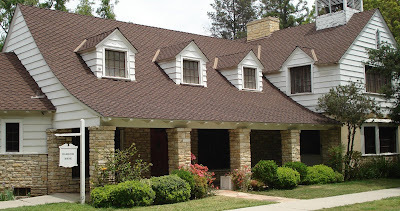 Museum supporter Art Jacobs shares this information about the Oliver Hardy house. One of America’s most beloved comedians, Oliver Hardy (Laurel and Hardy) and his wife purchased an estate on Magnolia Street in Sherman Oaks just before World War II. They paid a fortune for the place - $20,000. According to Art Jacobs, the property had a “swimming pool, guest house and stables. The nice thing about the home, is it appears the property has not been remolded and still maintains it's beauty and charm from when it was built. The front door is beautiful! 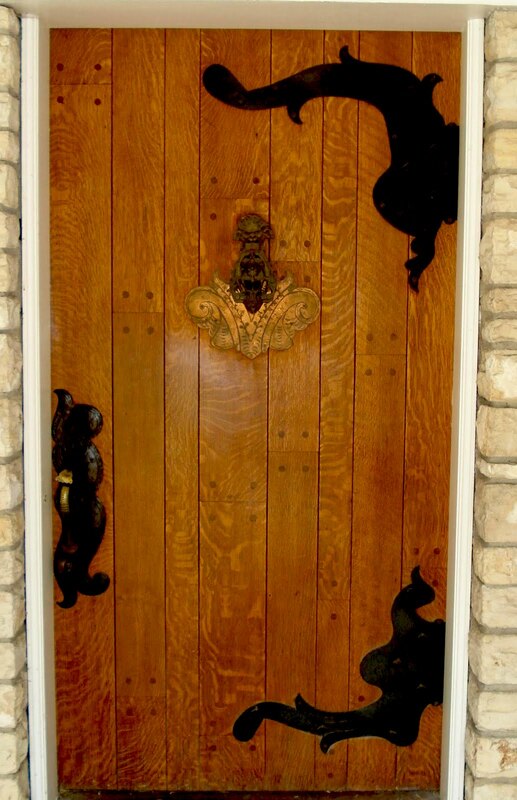 A light oak with original iron hardware. Front entrance door to the home of Oliver Hardy in Sherman Oaks - Photo by Art Jacobs for the Archives of The Museum of the San Fernando Valley 2011. Hardy also owned the property on the Southwest corner of Magnolia and Hazeltine where he housed a theater dubbed "The Laurel & Hardy Fun Factory." 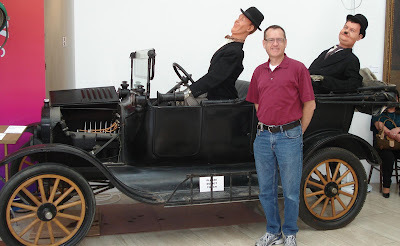 The car is a 1918 Ford Model T, used in the Laurel and Hardy Films and recently sold for $35,000.00 at the Debbie Reynolds Auction.” Standing in front of the vehicle is Art Jacobs, supporter of The Museum of the San Fernando Valley.